As someone that’s learning to drive, there are a number of manoeuvres that can be incredibly difficult to grasp, from clutch control to three-point turns. However, there’s one that’s arguably harder than most: reversing around a corner. So, we’ve put together some handy tips to ensure you can master the manoeuvre, first time, every time. 1. Make sure you look around you for any potential hazards – remember to look for traffic, road conditions and pedestrians. 2. Always drive past the corner you’re looking to reverse around and pull into the kerb, leaving a gap of about half a metre at a point around two and a half car lengths beyond the junction you’re about to reverse around. 3. Make sure you always look again, check the rear window and your mirrors one last time before you make your manoeuvre. 4. Without using your indicators, put the car into reverse and move the car slowly backwards. 5. 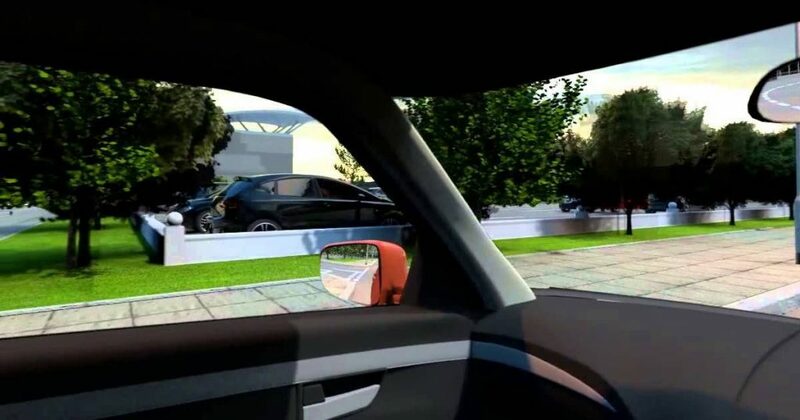 Keep an eye on the kerb, looking through your rear window as you continue to reverse. You’ll eventually lose sight of the kerb momentarily, before it reappears in your rear-side window, and when it does, turn your steering wheel to the left. If the corner is sharp, remember to turn the wheel fully to the left. If it’s a wide corner, judge how much to the left you turn the steering wheel by keeping an eye on the bend of the road. 6. Make sure you look again; the front of your car will begin to swing out into the road as you reverse, so you should be constantly checking all around you for any hazards. 7. Once you’re round the corner, straighten your vehicle up – your car should be parallel to the kerb out of your rear window. You’ll need to be careful to ensure your car is lined up so that it’s close to the kerb, but not touching it. 8. Finally, once you’re in position, make it safe by putting on the handbrake and putting the car in neutral. Once you’ve mastered this manoeuvre once, you’ll develop all the confidence you need to get it right every single time. If you’re looking to book some more driving lessons to brush up on reversing around a corner, contact us at Alfie’s Driving School.